On the Zend Framework blog today there's a new post from Enrico Zimuel showing you how you can use Argon2 password hashing in PHP applications (coming natively in PHP 7.2). PHP 7.2 will be released later this year (2017). This version contains some interesting additions, including two new security features: support of the libsodium library. With these new features, PHP is the first programming language to adopt modern cryptography in its standard library. 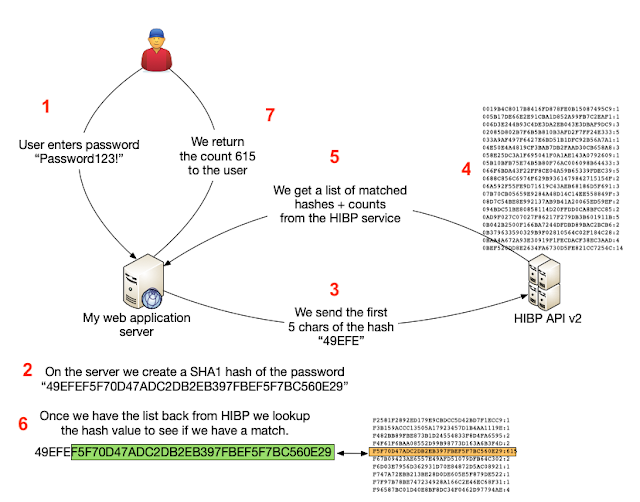 In this article, we demonstrate the usage of the Argon2 password hash algorithm. He then walks you through the installation of the pre-release version of PHP 7.2 and the argon2 library to get the environment up and running. He briefly talks about what the Argon2 hashing algorithm is and how to use it directly in PHP via the password_hash function. He also mentions the password_get_info function and shows what the result of inspection on an Argon2 application contains. The post includes a snippet of code from the WordPress core where the issue lies, relying on the value from PHP's $_SERVER['SERVER_NAME'] variable for the domain in the address the reset email is sent to. Unfortunately this value is pulled from the Host header in the request and is user-controllable. There's a solution offered using an Apache setting and it's noted that this exploit only seems to work against the default VirtualHost as it will act as a fallback if the Host does not reference a configured domain. On the SitePoint PHP blog there's a new tutorial posted from Christopher Vundi showing you how to create a password-less login system using "magic links". These links allow users to log into a service without requiring a password using a one-time code and a special URL. [...] In this tutorial, we are going to implement such a system in a Laravel app. The complete code can be found here. The tutorial then walks you through some of the setup of the application environment - creating the Laravel project, building out the database and running the "make:auth" to generate related controllers/views/models. They show you how to change the login link to point to the new "magic link" functionality and the matching controller and view. The tutorial then shows how to generate the tokens, email them to the user with the special URL and validate them once they come back in. On the Laravel News site there's a quick post looking at Laravel's login validation and how you can make updates to its handling (and where the changes should be made). Laravel’s included auth system is a great way of scaffolding out a basic flow for authenticating users through a complete registration, login, logout, and forgot password system. When it’s all setup the login and password reset validation is stored in an AuthenticatesUsers and ResetsPasswords trait. Even though it’s a little hidden away it’s still easy to adjust this to your needs. Let’s take a look at how to adjust this. The post then breaks each of these down, showing where in the framework source the code lives and how you can update or override the current handling. The login validation lives in the default "AuthenticatesUsers" trait and the password reset verification is in "ResetsPasswords". These can each be overridden in your own controllers as they're just methods included via traits. On the Tighten.co blog Matt Stauffer shows how to make a password-less authentication system similar to what the popular site Medium uses centered around emails sent to the account for the user. Recently I was working on a project where one of our major pain points was users' passwords. Users were added to the application by administrators, so they didn't have passwords when they were first added, and forcing them to set and remember passwords was a big hitch on the project's usability. So, we decided to try out a Medium/Slack-inspired password-less login. If you've never had the chance to work with this, the login system works like this: enter your email address on the login page, get emailed a login link, click the link, and now you're logged in. Access to your email address proves your identity without the need for a password. He walks you through the process of disabling the current password-based flow by creating and modifying the default "make:auth" results. When the user comes to the site, they're asked to log in via sending an email. This email contains a unique token attached to a link that matches one on the server side related to the user. He shows how to build out this relation table, the matching model and the endpoint used to verify the hash once the user clicks on the link. On the Paragon Initiative site they've posted a new article showing you how to safely store a password (in 2016) that discusses both the concepts around good password hashing and how to do it in several languages (including PHP). Each of them is basically a one-line kind of change and doesn't require much effort on the developer's part to implement. He ends the post with a few FAQs around Argon2, PBKDF2 and why he's chosen to advise bcrypt over scrypt.